2:30 P.M. - Ringing of the Meeting Hall Bell, Dedication and remarks by distinguished guests and visitors. 3:00 P.M. - Reception and Open House continues with additional entertainment. Shiloh Singers will adjourn to the General Store to continue singing. 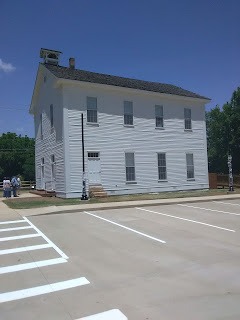 After the singing in the General Store, Syd and several others suggested the singers go to supper together at the Market Place in Springdale before returning home. After moving the historic building to W. Huntsville Ave. in 2005, then developing a plan for working on preservation and renovations since 2007 at a cost of over $1.1 million, it's quite an honor to be the first group invited to use the renovated building and to open such a festive ceremony with songs that might have been sung in 1871 when the building first opened. Late addition: Syd heard from Mary Ellen Wilkinson that she wants to come. If that's the case we would have singers from Arkansas, Missouri and Oklahoma. Looking forward to singing with as many as can come on Saturday. I think the reopening and dedication will be a meaningful experience that all who participate will remember. 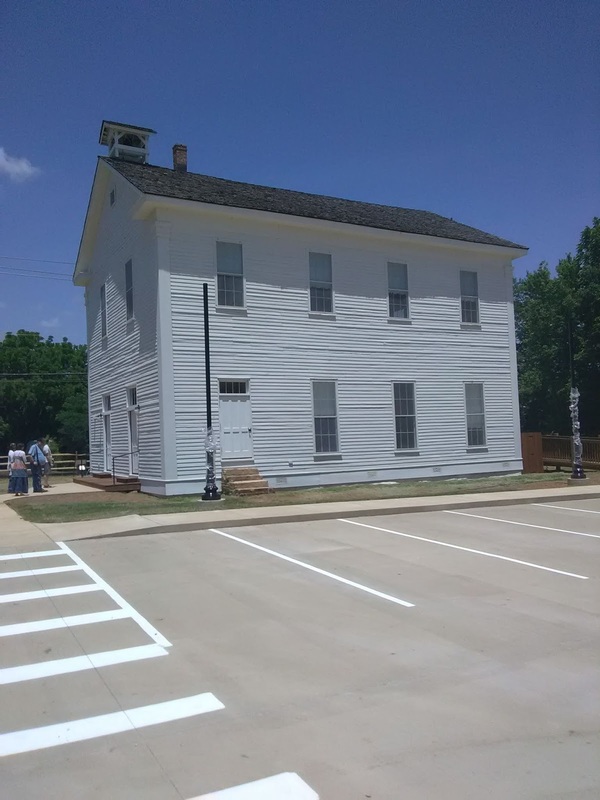 The time and date of the Grand Opening of the Shiloh Meeting Hall (formerly the Odd Fellow's Hall) has been confirmed: July 30th at 2 P.M. Sacred Harp singing will be at 2 inside in the A/C, and there will be a presentation for the grand opening and other musical groups following. We appreciate being invited to use the Shiloh Meeting Hall for our future singings. For those of you who use Facebook (those that don't may still be able to access the presentation; I'm not sure), some of our group were involved in a presentation about Shape Note Singing at the Fayetteville Public Library earlier this summer (it also includes a little information about the Shiloh Meeting Hall). The above link should lead to a recording of the presentation.